Why vote in the primary? National elections for President usually get the most attention, but it is often the people who are elected to the State Legislature and County Board whose decisions have the most impact on your daily life. 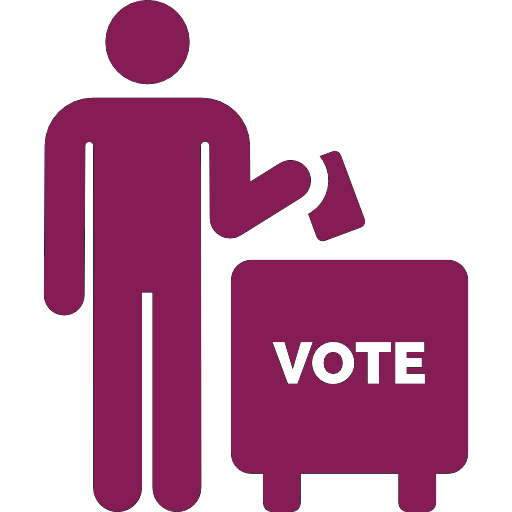 Despite all the money in politics, elections still come down to votes, so YOUR VOTE MATTERS! Find your polling place and see a sample ballot here. An accepted Wisconsin photo ID card is required to vote. Find out more about this. Are you looking for unbiased candidate information? Look no further than the League of Women Voter’s informative voter guide where you can see candidate’s stances on issues and much more! Visit VOTE411.org and enter your address to see every candidate on your ballot at least down through the State Assembly Representative level. Request curbside voting if you cannot enter the polling place due to a disability on Election Day.